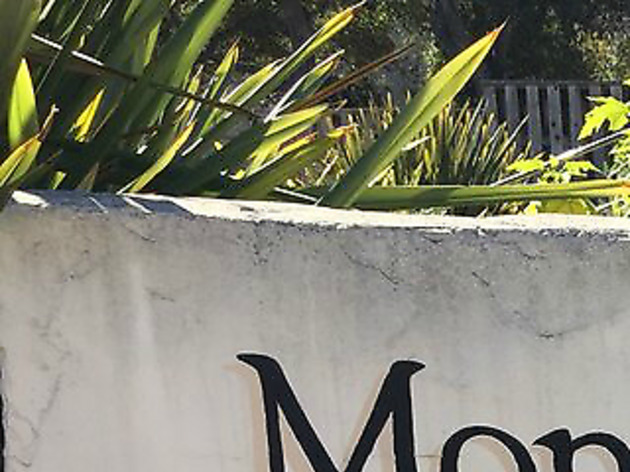 Sought by Spanish explorers, immortalized in John Steinbeck novels and fictionalized by Pixar animators in “Finding Dory,” Monterey enjoys a celebrity larger than its quiet coastal setting might imply. Yet, much of the town’s allure is courtesy of is its enchanting, namesake bay. 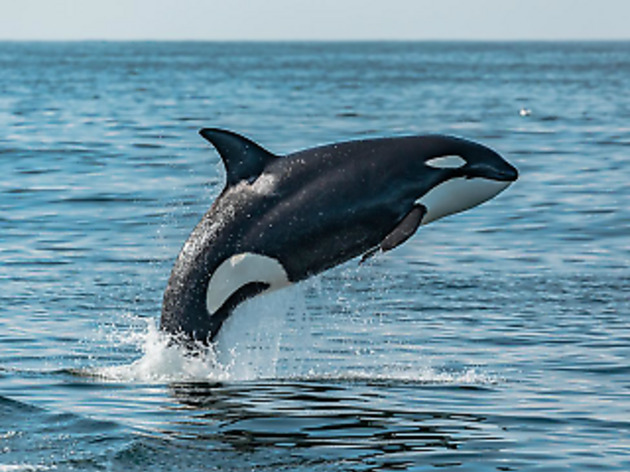 Exceptionally rich in nutrients, Monterey Bay hosts scores of marine life, from cute furry sea otters to ferocious killer whales, within clear, turquoise waters strewn with giant strands of swaying kelp. 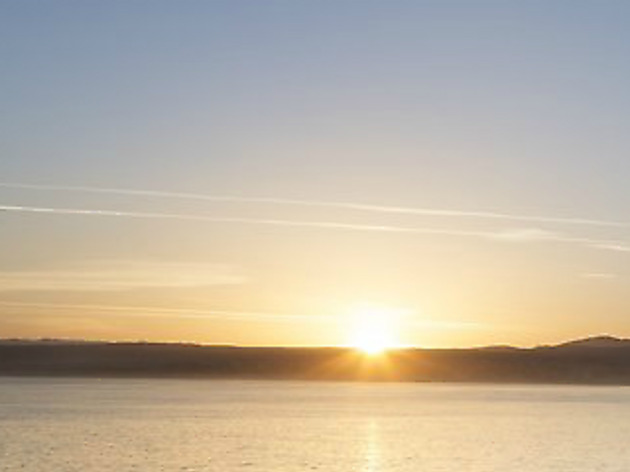 Whether you kayak over it, bike alongside it or simply gaze upon it with a sunset drink, the Monterey Bay radiates hypnotizing beauty. Some say the best way to experience is it is submerged with air tanks strapped to your back, but for those without a scuba license—or with little desire to meet a shark—the following spots should do nicely. What is it? Bask in front row views of Monterey Bay along this paved, dedicated trail that winds 18 miles along its mesmerizing shores. Why go? 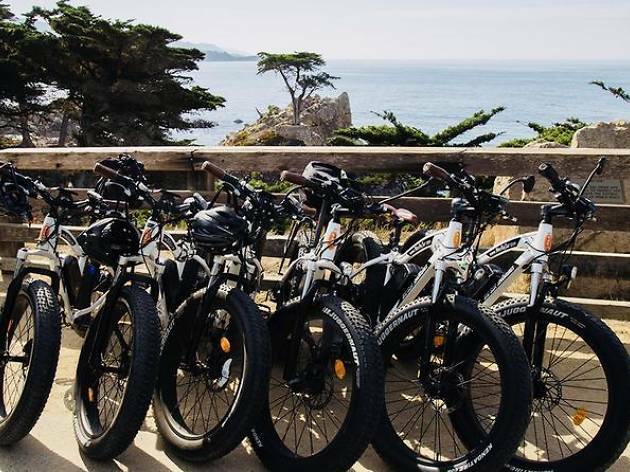 Rather than plunk down ten bucks for the famed 17 Mile Drive, rent a bike (or fringe-top surrey, if you must) and experience the bay’s waterfront up-close rather than from behind a windshield. You’ll breathe invigorating sea air, and zip by the bustling wharf, past the former sardine factories of touristed Cannery Row, and alongside golden sand beach coves dotted with sculptural granite outcrops. Photograph: Courtesy CC/Yelp/May Lene D.
What is it? Monterey’s preeminent tourist attraction—the inspiration for Pixar’s fictional Marine Life Institute—delivers with grand-scale marine exhibits and strong advocacy for healthy oceans. Why go? Experience the wonders of the Monterey Bay without getting wet. Enjoy a diver’s-eye view of an underwater kelp forest, watch playful sea otters frolic with each other, and fill your phone with pics of glowing, ethereal jellyfish. Plus, you can literally sleep with the fishes at one of their summer slumber parties. Download their Seafood Watch app to make sure your next poke bowl is responsibly sourced. 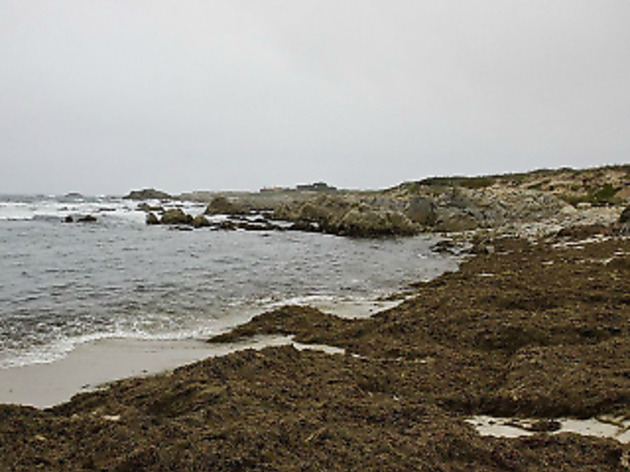 Photograph: Courtesy CC/Yelp/Monterey Bay Kayaks. What is it? This local outfitter will get you geared up, on the water, and informed of the best spots among the bay to explore. Why go? Paddling over lush, underwater kelp forests is reason enough to slip into a wetsuit, but most are here to watch furry sea otters hunt for lunch among the kelp. 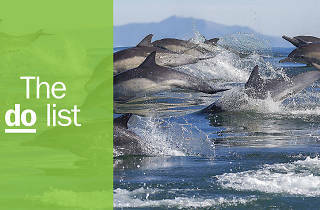 You’re also likely to spy massive sea lions, resting harbor seals, and the occasional dolphin. 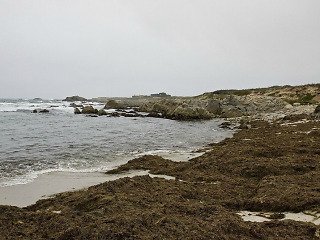 Thankfully, you’ll almost always experience calm, glassy waters thanks chilly winds and southerly swells being shielded by the Monterey Peninsula. 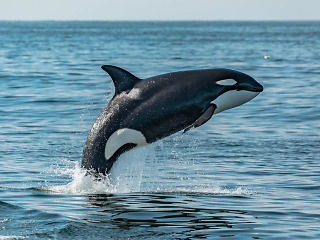 Photograph: Courtesy CC/Yelp/Discovery Whale Watch . What is it? Witness the planet’s largest living creatures breach, lunge, and blow misty plumes from aboard a small boat helmed by a marine biologist. Why go? Need to restore your sense of wonder in the world? Seeing a whale up close and in person will do the trick. 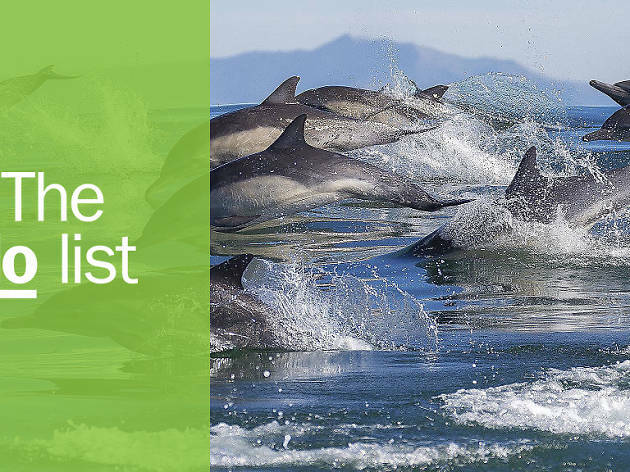 Numerous migratory paths pass through Monterey Bay, and on a good day, you’ll marvel at humpbacks, killer whales, and bottlenose dolphins. Conditions shift daily, so manage expectations, cross fingers, and, bring some Dramamine. What is it? This idyllic, white-sand beach offers vibrant tide pools and killer sunsets. Why go? Fronting the Pacific, Asilomar brings the drama with churning seas and crashing waves. Stroll the wooden boardwalk that meanders over seagrass-tufted dunes, and explore the rocky shore dotted with creature-filled tide pools. Head inland to view historic buildings from the beach’s namesake, former women’s camp designed and built by Heart Castle maestro, Julia Morgan. What is it? A collection of Spanish-era structures hide lush, overlooked gardens worth seeking out. Why go? Amidst the fried calamari and sea otter plushies, Monterey hides some serious history with Spanish and Mexican-era homes strewn throughout downtown. Not just for high school field trips, the homes feature dazzling, garden courtyards rippling with Spanish tile fountains to enliven your Instagram feed. What is it? 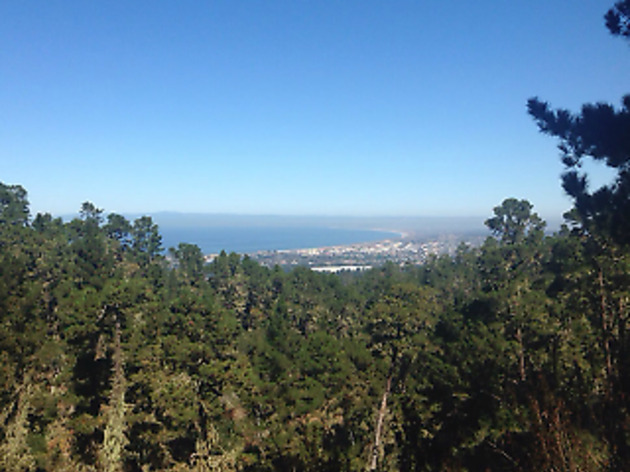 Forested hilltop park offers leisurely hikes and jumbo vistas. Why go? Jacks Peak offers a compelling reason to leave the coast. The highest point on the Monterey Peninsula features sweeping views of Monterey Bay and Carmel Valley, yet you needn’t break a sweat to get there. Short, nearly level trails begin at a parking lot just below the summit, and pass Miocene-era fossils and one of the largest Monterey Pine strands in the world. Photograph: Courtesy CC/Yelp/Vista Blue Spa. What is it? At this waterfront spa, you can while away the day on a dreamy rooftop sundeck with two whirlpool tubs, outdoor fireplace, and outrageous views of Monterey Bay. Why go? Located on the top floor of the upscale Monterey Plaza Hotel, Vista Blue offers a salon and body treatments complimented by a stunning, outdoor rooftop lounge. Nab a lounger, order a glass of sparkling, and bliss out in front of the fire with panoramic views of the hypnotizing bay. What is it? A breath of fresh air amidst the souvenir shops, this stylish boutique features local artisan wares and the town’s best coffee. Why go? Awash in warm, muted earth tones, Lilify’s fetching showroom displays locally, handcrafted goods with organic design. Browse tablewares, totes, and modern jewelry while nursing a latte from a cute, in-store coffee bar from Bright Coffee. What is it? What do you get when an architect dad and his beer geek son open a brewery? Fantastic beers in an attractive setting. Why go? Housed within the cavernous interiors of a renovated historic theatre, this popular brewpub keeps the crowd buzzing with Vietnamese Lamb Burgers, pork belly pizzas, and beers with a little swagger. Try the tropical Mai Tai PA or potent Delorean Dust on the trellised, outdoor beer garden.